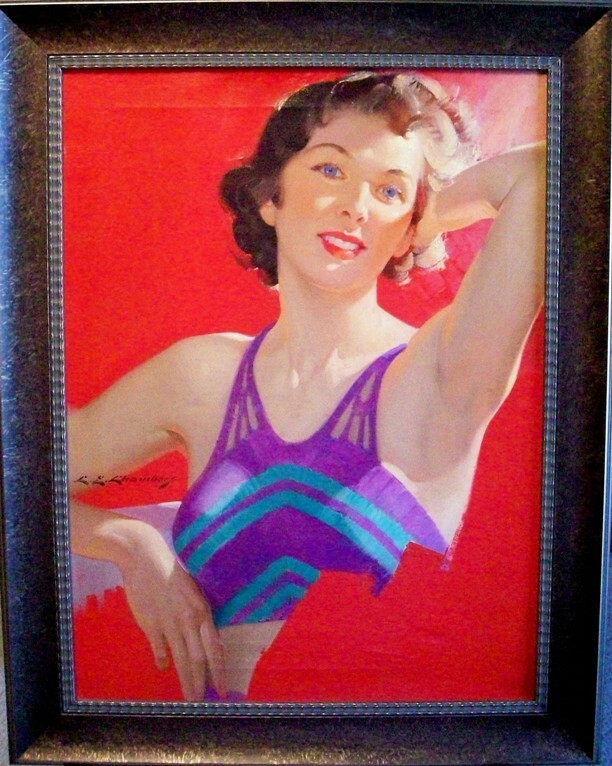 This oil on canvas painting was created by Charles E. Chambers for a cover of Redbook magazine, however it is was never used by Redbook. With each brush stroke, Chambers was able to create an image that appears almost photographic, as can be seen in this image. Charles Edward Chambers was born in 1883 in Ottawa, Iowa. He first studied at the Chicago Art Institute and later at the Art Student League in New York. His illustrations were extremely competent, marked by subtlety of value and color. He learned early to adapt his method of painting for the best possible reproduction and to insure fidelity of printing; he often followed the assignments through to the hands of the platemaker. Chambers divided his time almost equally between editorial and advertising assignments. Among his advertising commissions was an outstanding series of portraits of musicians for Steinway & Sons. He also did a great number of distinctive illustrations for twenty- four- sheet outdoor posters, notably for Chesterfield and Palmolive Soap which set high standards for that field. He illustrated stories in most of the major magazines, for such authors as Pearl Buck, Louis Bromfield, Faith Baldwin, and W. Somerset Maugham. He also created covers for Cosmopolitan and Redbook magazines for many years. Charles Chambers died in 1941.